In summer of 2019, we will be conducting our 14th season of archaeological excavation at the Roman-era city of Antiochia ad Cragum in southern Turkey. Over the years students from all over the US, Canada, Australia and Turkey have received training, learned archaeological methodologies and conservation practices in our field school. We are asking that you make this opportunity known to your students who wish an archaeological experience. Field school participants will be introduced to the basics of field archaeology. They will learn proper excavation techniques, archaeological survey, principles of field conservation, record keeping, site management, and archaeological surveying. Opportunities for weekend trips to nearby archaeological sites, such as Selinus, Lamos, Perge, Anamur, and Alanya will be arranged. We operate two field sessions: Session 1, June 15 – July 13; Session II, July 15 – August 14. Academic credit for archaeological fieldwork (up to six hours) is offered through the University of Nebraska. For further information, please visit the project website http://antiochia.unl.edu. An announcement regarding the program is attached to this email, as well as a small flyer. 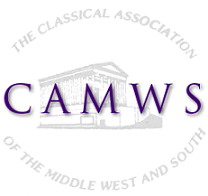 Note that students can apply for the CAMWS Excavation/Field School Award (Application Deadline: January 30) to support this work. Also, students may contact me via email (mhoff1@unl.edu) or by phone (402-472-5342). Thank you very much for your help in identifying excellent applicants for our summer program.